Almost a million tourists visit the Great South Coast region every year. They come to experience some of Australia’s most spectacular coastline, as well as forests, plains, ancient rock formations and prolific flora and fauna. As a place to live it is full of opportunity. A tradition of manufacturing, fishing and agriculture is augmented by a growing diversity of opportunity for relocators, including tourism, retail, education, health care and professional services. Renewable energy is also on the radar as a provider of future career options. Great tourism means infrastructure to match. Rail, road, ports and airports are all well represented. 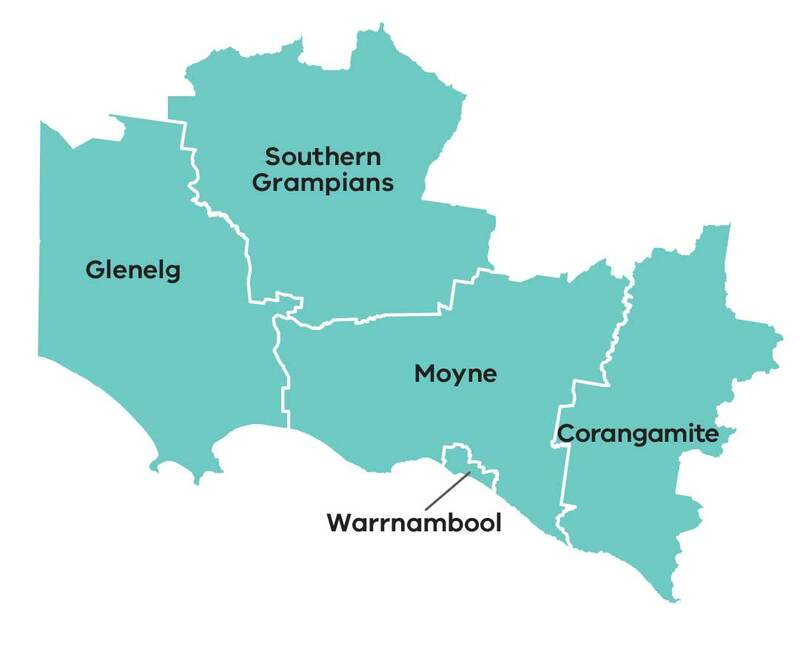 The Great South Coast region consists of five municipalities in south-west Victoria: Corangamite, Glenelg, Moyne, Southern Grampians and Warrnambool. The region has a rich resource base which underpins its strong tourism, agricultural and fishing industries. It has one of the premier deep water ports in Australia at Portland, an established rail network and several commercial airports. In addition, there is significant investment occurring in sustainable energy, particularly in wind energy innovation and gas-fired power plants. The region attracts thousands of tourists each year due to its spectacular coastline and excellent tourism infrastructure. Destinations favoured by tourists include the Grampians National Park, Great Ocean Road and Great South West Walk. Job opportunities in the renewable energy sector, with the development of co-generation, wind power, natural gas, geothermal, wave and tidal energy. Investing in social infrastructure, community development and skills and workforce development is needed to capitalise on the region's opportunities. The Great South Coast Regional Growth Plan is one of eight regional growth plans across Victoria. It provides a broad direction for regional land use and development as well as high level planning frameworks and the means to implement the strategic land use and infrastructure directions that are set out in the Regional Strategic Plans. Visit Great South Coast's Regional Growth Plan page for more details.